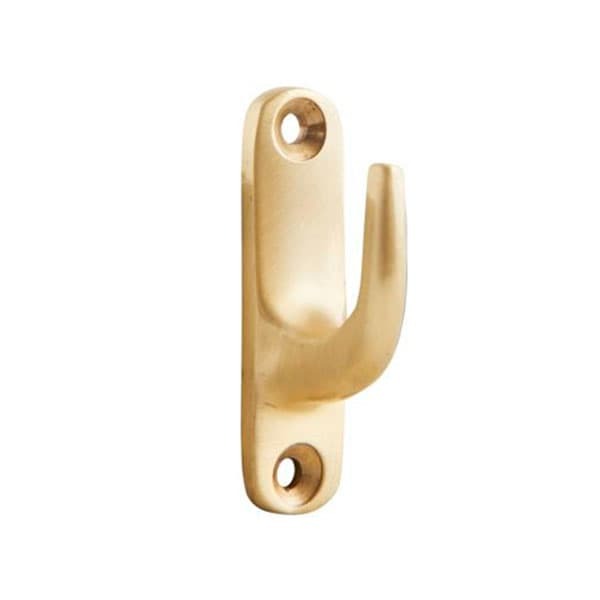 A brushed brass hook for hanging coats, bags and coats in style. Also great for towels or hooking keys and jewellery. Complete with brass screws. Mink Interiors in Tunbridge Wells, United Kingdom.